Once you have settled on the location and the type of property that will fulfil your requirements a helpful tip at this initial stage is registering with an agent so you can view properties coming to the market. (why not register with us now https://www.bullockandlees.com/contact/). When you have found your perfect property, you’ll need to get in touch with us to arrange a viewing. When the day of the viewing arrives, its your opportunity to get to know the property inside out. Assess how well the property has been maintained. Find out if the agent manages the property or if the Landlord manages the property so you know who to contact in the event maintenance is required. Note how much storage space there is and whether its adequate for your needs. Ask about the maintenance of any common grounds. If the garden is included within the tenancy, make sure you find out if you need to maintain the gardens; some Landlords are happy for you to look after the garden if you are a dab hand at gardening, otherwise if you don’t know your weeds from your flowers, best to ask the Landlord/Agent if they would consider maintaining the garden themselves! If there’s a space for your vehicle, find out where the space is located, if your vehicle fits and how it is accessed. Also make sure you find out if there are any restrictions on types of vehicles that may be parked in the space. Ask about transport links and the commute to work/schools. If you have children, check the property falls within your school catchment area. Ask the Landlord/Agent if they would accept pets. Some Landlords are happy to accept a pet, but most aren’t. Be aware that if you are looking for a flat, many flat blocks will not allow dogs as it is part of the Freeholder lease agreement. Proof of earnings. This would be an employer’s reference or if you are self employed, an accountants reference or a minimum of three months bank statements. A reference from your previous landlord if applicable. If you have not rented before a guarantor/character reference may be required. 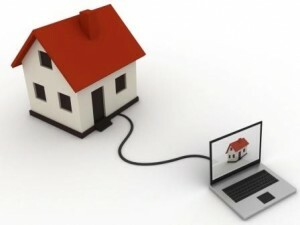 Tip: Your letting agent will arrange for an inventory on your behalf. It will determine the condition of the property before you move in and out, and will protect you against being held liable for any existing damage to the property, including fixtures and fittings. This is a vital part of the renting process, and can dictate how much deposit you’ll receive back at the end of your tenancy agreement. We would strongly advise that you ask for one to be undertaken. Okay you are nearly there! Hopefully as long as your references came back positive the next step will require you to secure the property. You will need to pay the deposit before you move in, which is usually 4 – 6 weeks’ rent. A deposit is payable in addition to the first month’s rent, which will be taken on the day the tenancy begins. Most landlords will ask you to set up a standing order to minimise the risk of errors and late payments. Your landlord/agent must then register your deposit in a Tenancy Deposit Scheme. At Bullock & Lees, we use The Deposit Protection Scheme and the money is sent to and held by the DPS directly so you can be assured that your deposit is protected securely. So you have paid your rent and deposit now all is left is to sign on the dotted line. Tip: Ensure you initial each page of the agreement if you are not prompted by your agent and read your contract! A tenancy agreement will need to be drawn up specifying both your rights and your landlord’s rights. The responsibilities of both parties will be detailed within your tenancy agreement, although some conditions may vary. You will need to sign the tenancy agreement before you move into the property. Your name, your landlord’s name, and the property address. Start date of the tenancy. Total duration of the tenancy. The amount of rent payable, how often and when it should be paid, and when it can be legally increased. The amount of deposit paid. The agreement will also state other payments you’ll be expected to make, including council tax, utilities, and service charges. Your Landlords obligations and responsibilities, such as maintenance of common areas and to ensure adequate heating, water and fuel are supplied and safety checks are all undertaken as required by law. Your obligations as a tenant as regards to payment of rent, deposit, utilities and responsibilities in regards to fixtures, fittings and behaviour in a tenant-like manner. 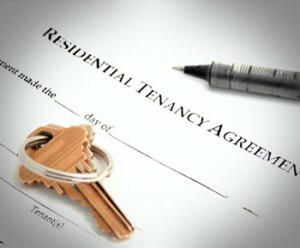 The notice period required if the tenancy is to be terminated by either you or your landlord. Well we made it, we are at the final stage congratulations! You have chosen your property, you have provided your references, and you have paid your first month’s rent as well your deposit. 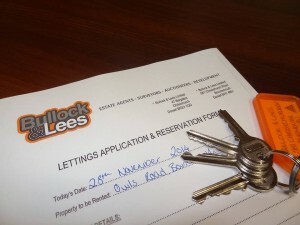 You have checked and signed your tenancy agreement and all references have been undertaken. All that is left to do now is to collect your sets of keys and move all your belongings in.